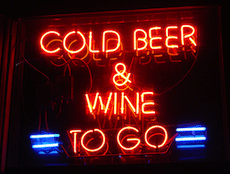 Beer neon signs are an excellent way to both decorate your bar, pub or club as well as letting customers know what kind of beers you have available. And, when hung in the window of your establishment, its a telltale sign letting onlookers know there’s a bar ahead. Neon Beer SignsBelow we’ve listed off a number or different beer neon signs that we stock in our bar store. 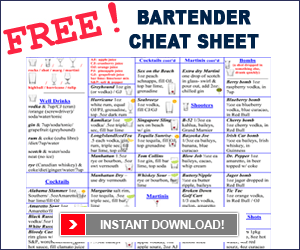 To purchase these signs and have them delivered to your home or bar, simply click on the link or the image and you’ll be taken to our online bar store where you can complete your order and checkout. One of the most popular beers around, straight from the mountains of Colorado, this beer neon sign is the perfect addition to any pub, club or home bar. If you’re not satisfied with the “regular” Coors Light mountain beer neon sign, than you’re sure to like the outlined full bottle Coors Light neon. It’s like a beacon of light, glowing ever so invitingly to thirsty travellers everywhere. If you like your beer and beer signage a little stronger, here’s a Coors lightbox – the original Coors. Display this Miller Lite neon sign in your bar or home to let all your friends know that you’re a Miller fan. If you like it from the tap and so do your customers, take a look at this Miller Genuine Draft neon sign. If you’re serving MGD in the bottle or from the tap, let everyone know by hanging this Miller Genuine Draft sign on your walls. 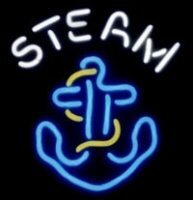 If you’re an Anchor beer fan, show it off by displaying this neon Anchor sign on your walls. Honestly, whether you like (or have even tried) the beer, its still a cool sign to have hanging in your den or bachelor pad. 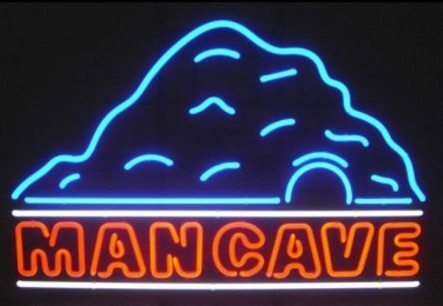 CLICK HERE if you want to check out all our barstore neon beer, metal, wood and other types of bar signs.